In any industry, creative disruption rules the day in terms of long-term competitive differentiation. And it can provide firms with the ability to give consumers what they want—before they know they want it. Mazda, for example, hit the sweet spot in 1990, with the introduction of its iconic Miata roadster, a car that brought “fun” back to motoring after years of gas-crisis concerns and prior to the start of a recession. In 2001, Apple introduced iTunes, and, in 2007, the iPhone, which inexorably changed the way the world listens to music and communicates. With respect to our own industry, Planet Fitness ushered in the high-volume/low-price (HV/LP) era in 1992. Precor, Inc., introduced the Elliptical Fitness Crosstrainer (EFX) in 1995, shifting the industry’s emphasis to low-impact exercise. And a decade later, in 2005, SoulCycle made it obvious that boutique fitness had arrived big-time. Club operators and instructors clearly play a role in the industry’s creative process, but, in many cases, important new trends are first identified and then brought to life by equipment manufacturers. Major market disruptions may not happen very often, but, in order to remain successful and maintain growth, manufacturers have to constantly keep tabs on changing consumer desires, understand their impact, and incorporate what they learn in the products and services they offer. When it comes to exploring emerging trends, the key to success, it seems, involves casting a wide net while simultaneously looking inward. “Our product development and marketing team keeps up-to-date with industry research from IHRSA, Europe/Active, the Sports and Fitness Industry Association (SFIA), and the American College of Sports Medicine (ACSM),” says Mark Zabel, the vice president of global marketing and product development for the Johnson Health Tech Co., Ltd., based in Taiwan. “But we also have an ongoing, in-house process that we use to identify trends. We start by producing an environmental analysis that provides us with an understanding of macro, industry, and internal issues. This is typically done via a SWOT analysis, which focuses on strengths, weaknesses, opportunities, and threats. While such information is invaluable, Zabel and the other sources we spoke to agreed that the critical insights into the industry’s future needs are provided by the clubs that buy, and by the people that use, their products. For Precor, Inc., in Woodinville, WA, “customer” is a broad and inclusive term, notes Brian Kane, the company’s global research manager. “We also consider fitness professionals, service technicians, and fitness facility operators to be among our key customers,” he says. The term, which literally translates as “go and see for yourself,” is one of the pillars of the Toyota Way, the revolutionary management system adopted by the automobile manufacturer. True Fitness, a leading equipment manufacturer based in O’Fallon, MO, relies heavily on customer feedback obtained from a designated advisory committee. The group consists of customers, partners who are selling in the field, and, of course, actual end-users, says Matthew Hacker, the firm’s chief sales officer. Certainly, the real value of any new fitness trend—and of the products and services it inspires—is user response: how good a job it does of appealing to, engaging, satisfying, and producing results for members, as well as their clubs. Vital trends and exciting equipment convince members that they want what you’re offering. “Today, user engagement includes, but isn’t limited to, personal identification, custom workout preferences, capturing exercise data, and pushing that information to the users’ preferred fitness apps,” says Hacker. 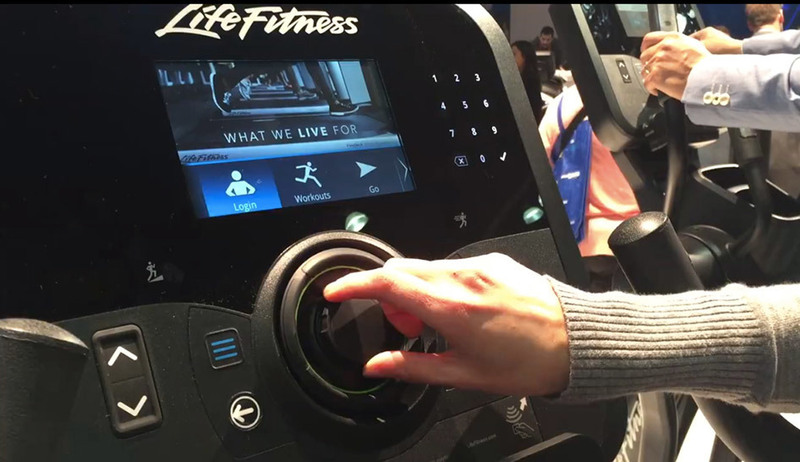 It also involves the facility’s ability to use the equipment’s push-notification functionality to connect with its members, he points out. Taking member engagement to the next level, Kane invokes the term “experiential fitness,” which basically means that, these days, people want to train like athletes and be social while doing so. Networked fitness, which facilitates both, also helps operators manage their clubs more efficiently. “Precor recognized, early on, that consumers, increasingly, were expecting digital experiences from the products and brands they interacted with, so we formed an entire division to develop our networked fitness solution,” says Kane. “At the time, Google hadn’t acquired Android, and the concept of combining a mobile tablet, television, and a piece of fitness equipment was unheard of. Right now, technology and interactivity continue to rule the day in any discussion about trends. Beyond connectivity, it’s the countless ways that technology has affected every aspect of usage that’s had a monumental impact. It’s insinuated itself in the industry via multiple platforms, products, programs, and services. “We’ve increased our investment and resources accordingly,” says Zabel. Like technology, group exercise also has been the subject of a lot of study and thought on the part of manufacturers. The category has been having a tremendous effect on the industry for a number of years, and all indications are that it will continue to do so. The 2015 International Fitness Industry Trend Report—produced by IHRSA; ClubIntel, an industry consultancy based in Highland Village, TX; and the American Council on Exercise (ACE)—predicted that group exercise, cycling, yoga, small-group classes, and other related formats will continue to thrive. Johnson Health Tech Co., Ltd. So what will the next major trend be? Where will it come from? According to the authorities we spoke to, it appears that the changes the industry faces in the near future will be less evolutionary than revolutionary in nature. At the moment, no disruptive developments appear to be lurking on the horizon. Zabel points out that digital products, mobile applications, and wearables are still in their infancy and will continue to multiply and grow in sophistication. “Over the past five years, we’ve increased our investment in people and products, and created an entire R&D and product-management unit to focus on digital product development. The team has designed new product features that benefit our customers by seamlessly integrating and connecting their mobile applications and wearables with our fitness products. The desire for boutique and specialized fitness experiences will also remain a strong driver of innovation. Regardless of trends and the directions the industry might take, in the final analysis, suggests Zabel, it’s the approach that determines success. “Great companies have a strong vision, mission, and set of values that are focused on people and customers,” he says. “The first question we ask, in our approach, is how will this product or program add value to the customer? If we believe it will add value, and if we think we can reach our target rate of market adoption, we then develop a financial analysis to ensure that it makes sense for the company.